The concept of adoption of political candidates is not new to Nigerian politics, neither is the concept of zoning and most recently, the latest inclusion to our national vocabulary, the word “marginalization”, the treatment of a person, group, or concept as insignificant or peripheral. The concept of adoption of political candidates in party politics has always met stiff opposition from members of such party. Such adoptions are agreed not to represent the true wish of stakeholders but an enforcement of candidates on the voting populace. Under such instances, merit is not necessarily the motivation behind the selection but factors such as tribal sentiments, favoritism, God-fatherism and loyalty are usually the determining factors. In a highly sensitive political landscape like ours, it is agreed that everyone be given a fair chance and opportunity on the political field. This is justice. It therefore should come as a surprise when injustice is now proposed within the Bar. It must sound as a warning when tribal sentiments and marginalization raises its head under the watch of members of the Bar and like an enemy aircraft carrier in the time of war, it must be brought down. 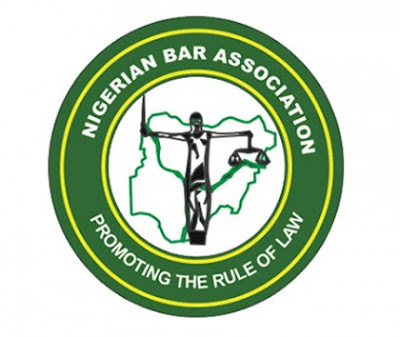 In the race for President of the Nigerian Bar, the Eastern Bar Forum (EBF) proposes to adopt a sole candidate, an action that will marginalize others and is not being propelled by the idea of putting the best candidate forward. C. Letter of Good Standing from the Aspirants Local NBA Branch, Duly Signed By the Chairman and Secretary of The Branch. 2. Every Aspirant Shall Submit To The Screening Committee, Copies Of All Documents Qualifying The Aspirant For The Office Being Vied For In Accordance With The NBA Constitution. 3. For Any Aspirant To Qualify For EBF Adoption, Such Aspirant Must Have Been Duly Qualified Pursuant To Article 11(2) Of The Constitution And Shall Submit To The Screening Committee, Copies Of The EBF Receipt For The Preceding Two Years Dues. Members of the Nigerian Bar will be voting for the office of President of the Bar and other national positions within the association. Lawyers will choose their representatives according to who is best for the job. It will also be counter – productive should the EBF treat any and other candidates as insignificant or peripheral. Officials of the NBA, hold the office in trust for the members of the NBA, the Association belongs to its members and everyone should have equal opportunity to add value to the Bar from their professional and co-operate perspectives. The leaders of the Bar must be candidates, all lawyers, whether young or old will respect. EBF SHOULD ADOPT ALL THE CANDIDATES FROM THE EAST AND BURY THE IDEA OF ADOPTION OF A SOLE CANDIDATE. Let all the candidates be embraced equally so that EBF can boldly claim the eventual winner as its own.